Lakers say – Be Gentle With Our Big Man! Lakers officials have recently registered an official complaint with the NBA, and this complaint surrounds there soon to be free agent, Dwight Howard. It has been well reported that Howard is having an injury plagued 2012/13 season and with the most recent re-occurring right shoulder injury fresh on their mind the Lakers have decided to step in and request that hard fouls be monitored on their ‘delicate’ 6’11, 265lbs big man. With the most recent ‘hack a Howard’ strategy trending more and more in close games against the Lakers, this could be their true concern. However the Lakers organisation are well within there rights to register their concerns surrounding their All-Star center Dwight Howard. Perhaps the Lakers concerns should be directed toward Howard’s poor .496 free throw percentage, however with all of that set aside only time will tell if the league takes the Lakers concerns seriously. Dwight Howard is set to miss todays game against the Brooklyn Nets. The LA Lakers are currently 11th in the Western Conference, with a record of 15-18. Unfortunately due to unforseen circumstances the Lakers are currently without a center. With Steve Nash recently returning from a fracture to the head of his fibula and Dwight Howard edging closer to 100% after his back issues (14 points, 26 rebounds in their most recent game) now is not the time for injuries to occur, but unfortunately they have. Gasol sustained a concussion in the Lakers most recent game against the Nuggets, this was attained through an accidental elbow from JaVale McGee. Gasol unfortunately was forced to leave the game and did not return. He is currently listed as day to day, and depending on the severity of the concussion he could be out for up to a week. 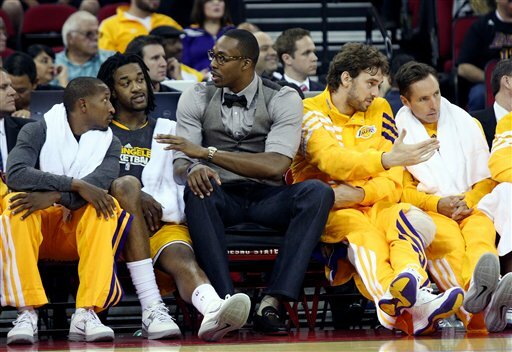 Gasol has also made comment recently that his troublesome knees (tendonitis) are still bothering him. 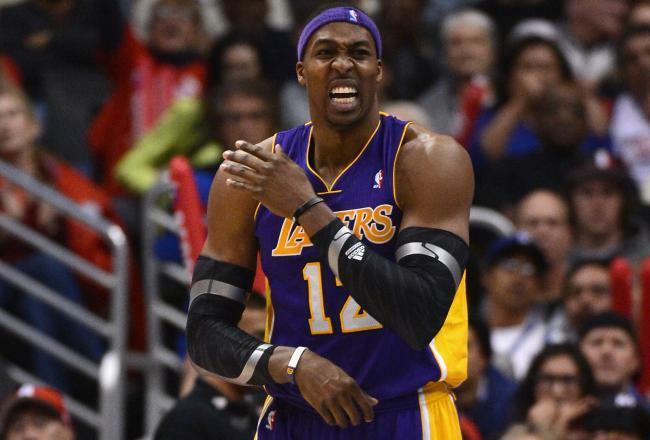 Howard was scheduled for an MRI early Monday morning to assess his sore shoulder. 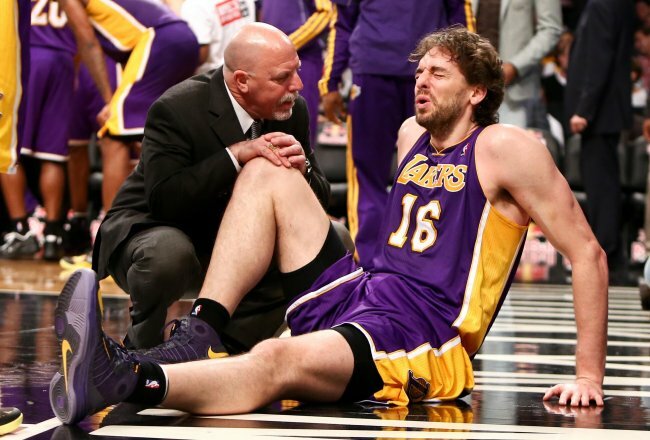 Unfortunately the results were not good, showing that the Lakers star big man had suffered a torn Labrum (The labrum helps to make the shoulder socket deeper and in this way helps to make the shoulder more stable – sportscarephysio.com). The injury itself was sustained in the recent Lakers v Clippers game, yet Howard played through the injury against the Nuggets. Fortunately the injured shoulder does not require surgery, however he is now listed as day to day and expected to miss anywhere from 1-2 weeks. The Lakers ever-ready back up big man sustained a hip injury in the third quarter of the recent Nuggets game. Hill has also been listed as day to day and is expected to possibly return on January the 11th to face the Oklahoma City Thunder. Neither Pau Gasol, Dwight Howard or Jordan Hill will attend the Lakers upcoming road trip in which they will face both the Houston rockets and the San Antonio Spurs in back to back games. These are some trying times for the Lakers organisation and things look like getting worse before they get better.